From easy to expert, there's a course for you! To prepare for a special event, final admission is at noon on Friday, April 26 and Saturday, April 27. 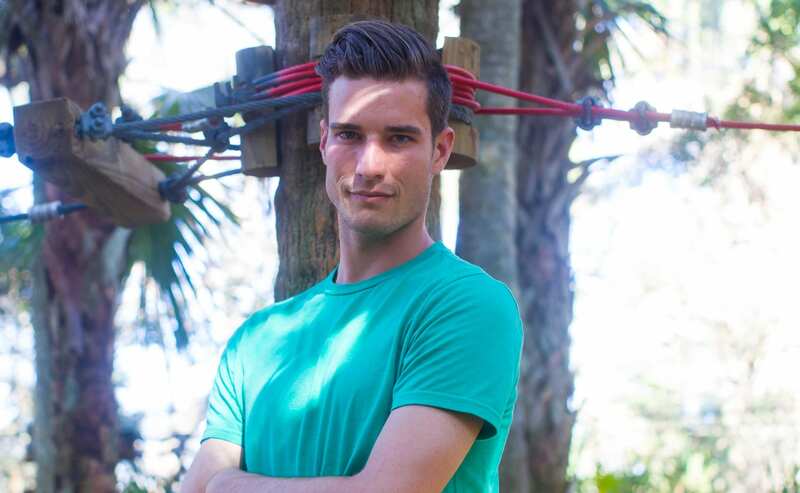 The Challenge Reloaded bike is currently down for maintenance. We apologize for the inconvenience. 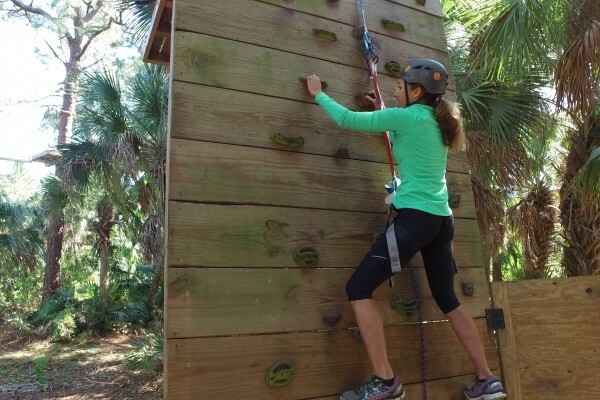 Zip, climb, crawl and careen your way through acre after acre of lush Florida landscapes offering incredible views. 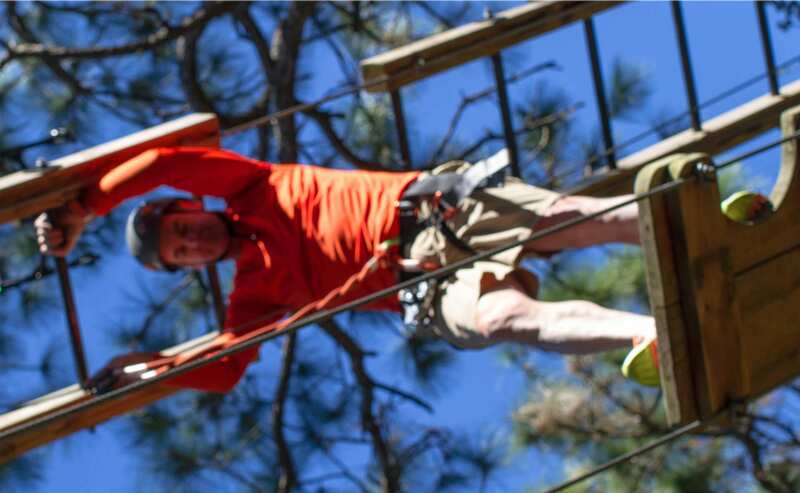 These self-guided courses of varying difficulty offer abundant thrills to satisfy the adventure-seeker in everyone! Please be advised that there may be course interruptions and closures due to high winds or thunderstorms. Please keep your eye on the radar or call for updates. 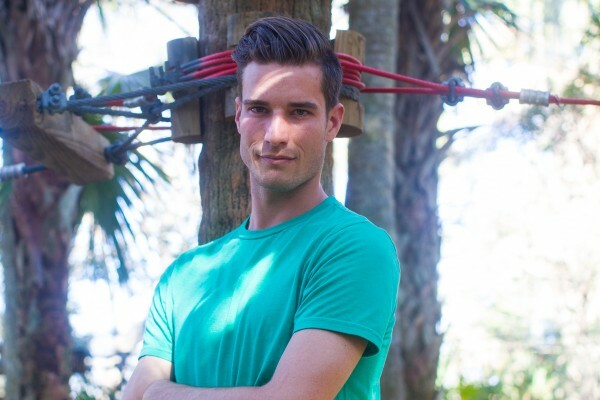 Trekkers have fun and challenge themselves traversing through the trees at their chosen level of difficulty…including our most popular and newly expanded intermediate course, Challenge Reloaded. You don’t know what you’re capable of until you challenge yourself! 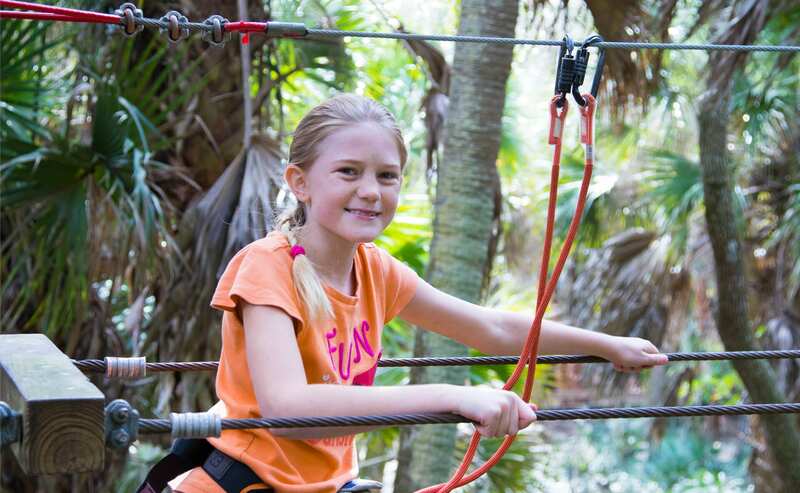 Enjoy exhilarating zip lines through the trees and traverse fun new elements including swinging logs and even a high-wire bicycle! 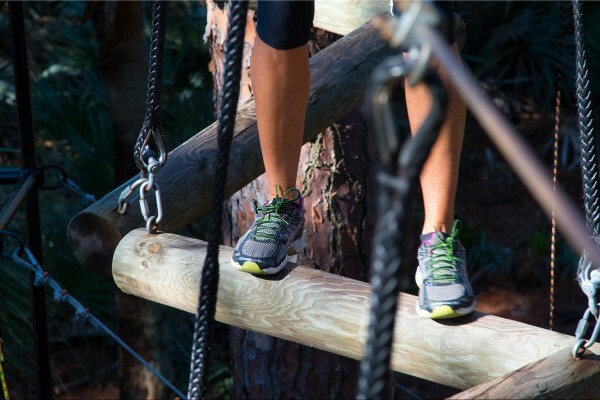 Challenge your friends, have a blast and get a supreme workout while discovering what each course has to offer. 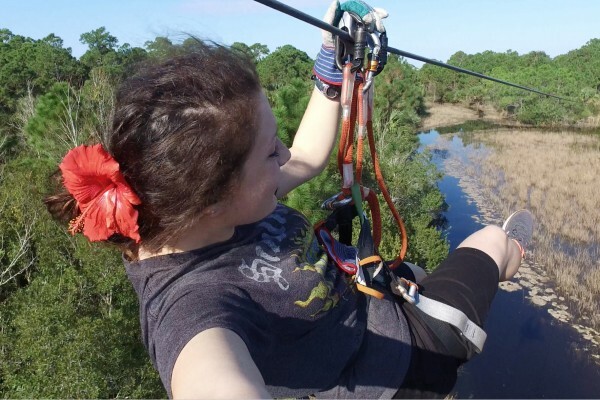 See the Zoo from another point of view in the canopy above wild animals. 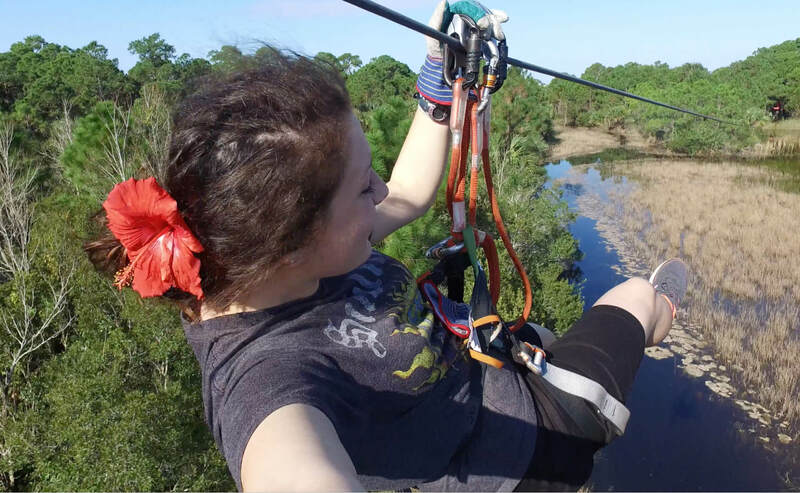 Some courses offer a birds’-eye perspective of monkeys, parrots and even alligators! 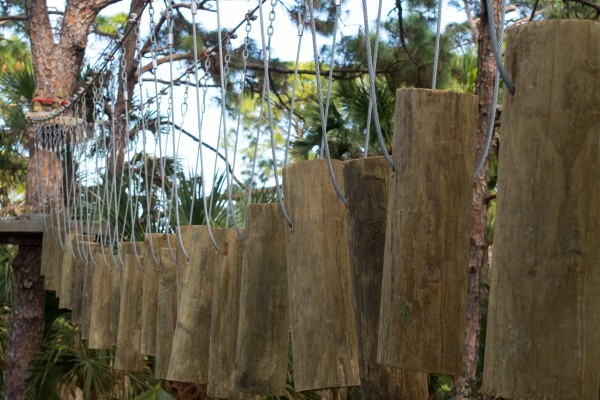 For a full day of animal encounters, opt for our combo packages to experience both the Zoo and Treetop Trek. Capture it all on video with a GoPro helmet cam for just $25. Availability may be limited on busy days. 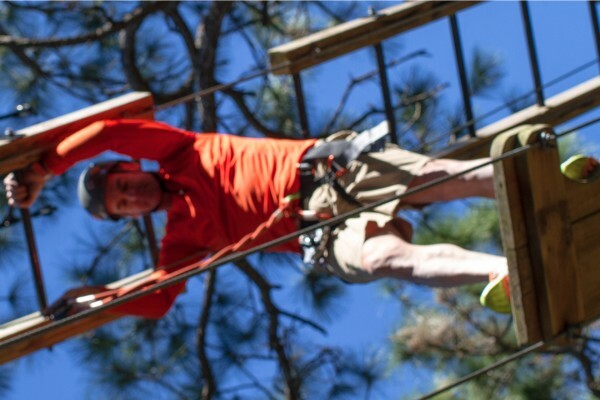 Don’t forget to check out your official Treetop Trek photos! Open seasonally; consult a guide for details. 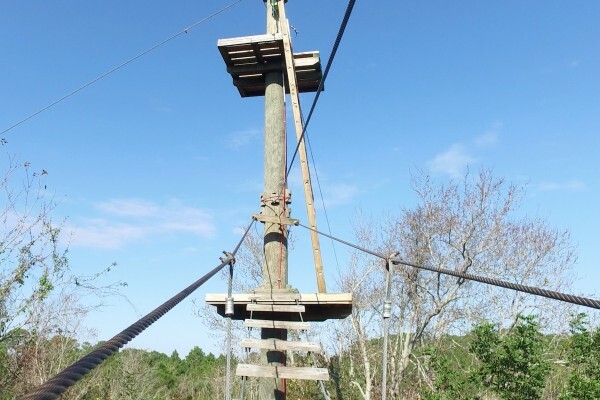 This beginner-level course runs at a nice, easy pace 20 feet up in the trees, navigating through 21 elements and 2 zip lines. 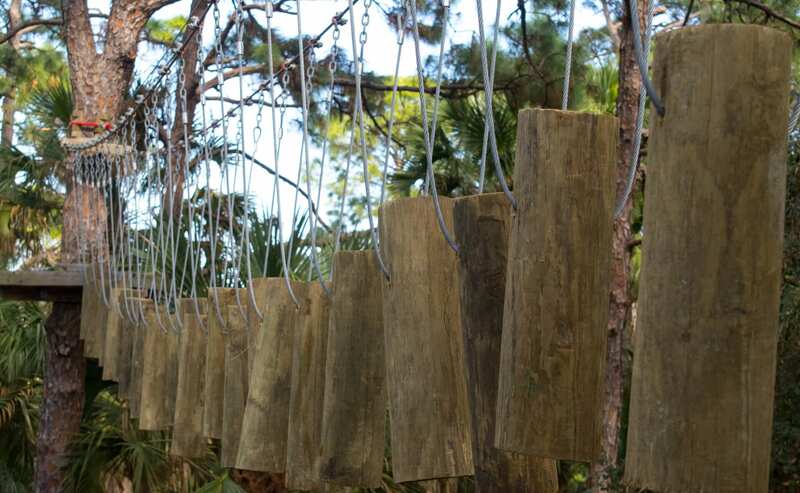 While you’re up there, take in the beauty of the Zoo’s La Selva exhibit—some visitors say the animal viewing is better on Canopy Walk than it is on the ground! 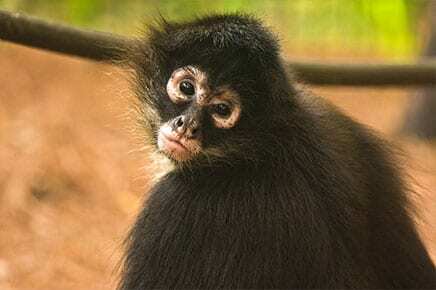 Consider a combo package that includes admission into the Zoo. 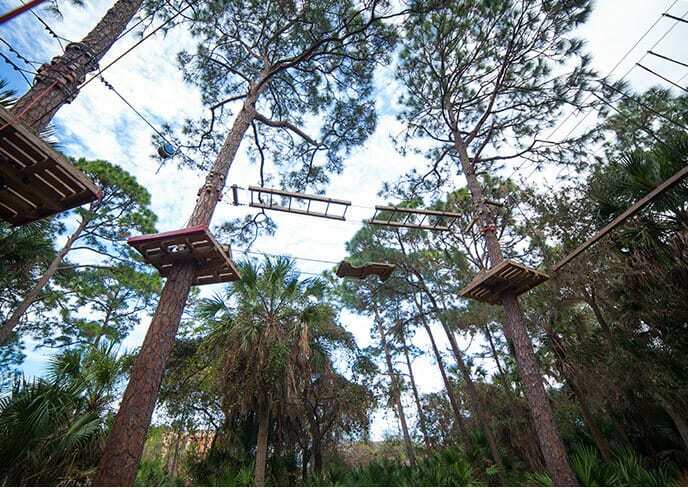 This course includes Canopy Walk, a 600-foot zip across the wetlands and adds another 9 elements and 9 zip lines! 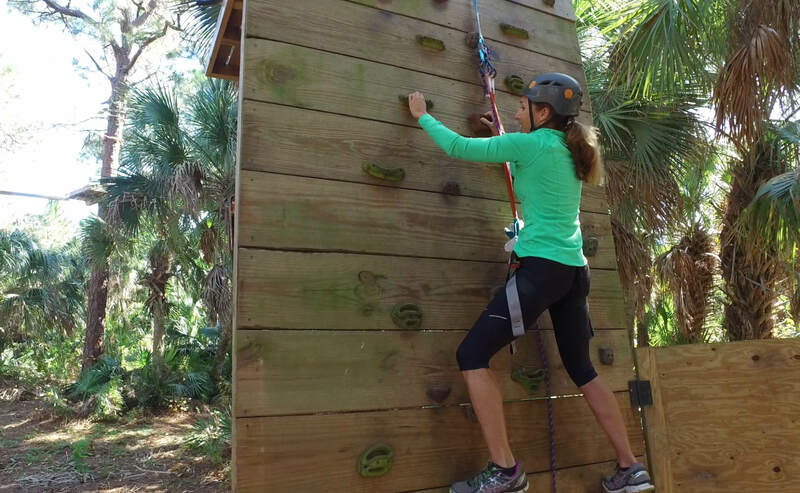 As if that weren’t enough, we just added five brand-new elements including a high-wire bicycle and rock wall to total 35 elements and 14 zip lines! Great for the intermediately fit. Ready to test your limits? 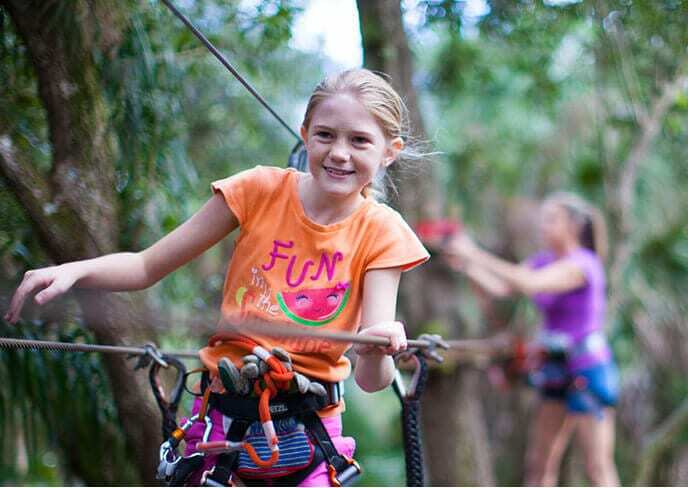 Take in Canopy Walk, Challenge Reloaded and these 6 additional elements for a total of 41 elements and 14 zip lines! 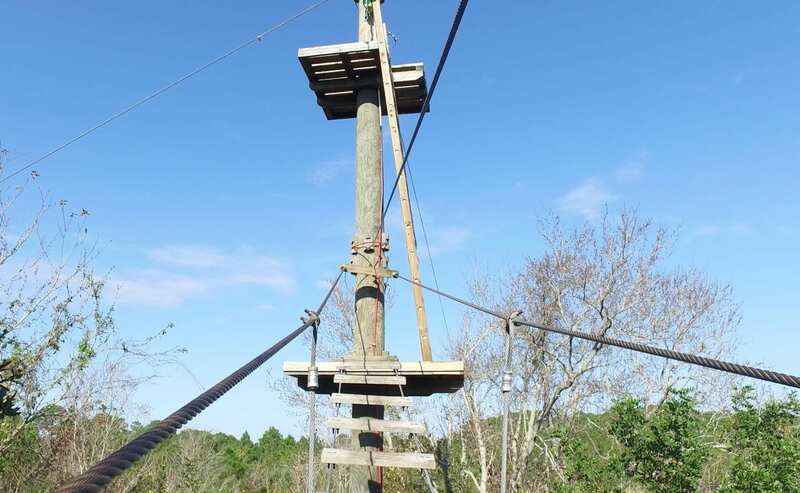 This is definitely our most physically grueling course, but it’s also the most rewarding. Not in the mood to push yourself? 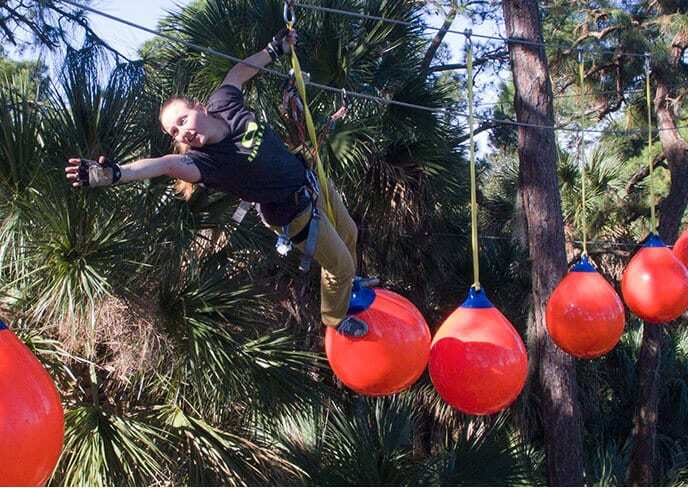 Skip the obstacles and just do the zip lines! 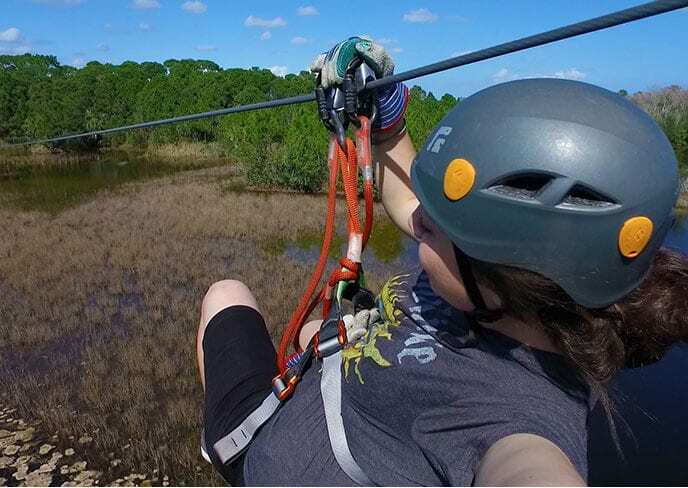 This shorter, easier course features 9 zip lines, giving you the chance to soar 600 feet across the wetlands. Some climbing required. All the fun of the larger courses scaled down for the little ones. 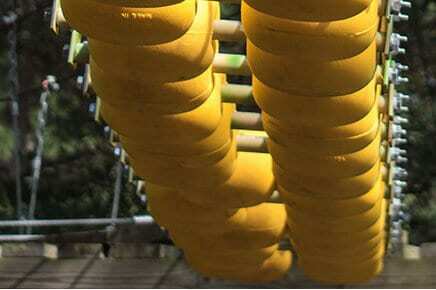 They’ll love this maze-like adventure featuring 22 elements and 2 zip lines! An experienced guide assists young Trekkers as they make their way through the course. 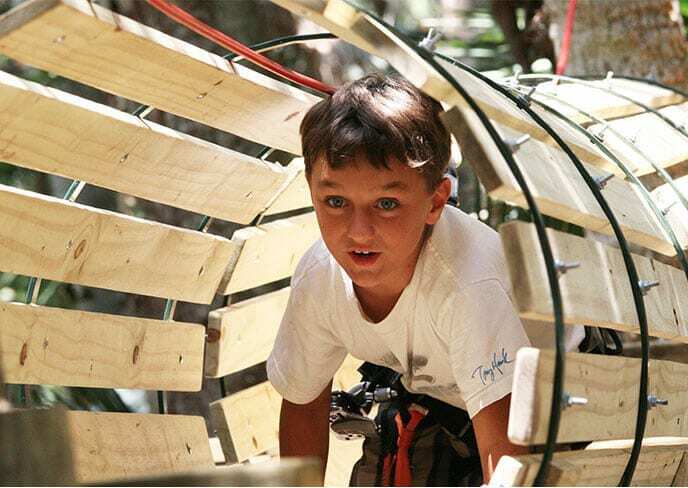 The challenges and course are typically geared towards children 4 to 8 years old. Thunderstorms with lightning happen regularly in Florida. 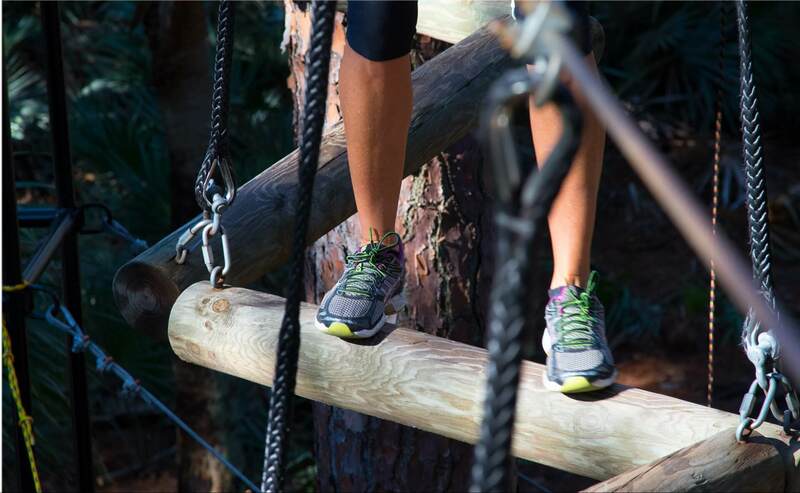 For the safety of our guests, Treetop Trek stops all course activities when thunder is heard. We are required to wait 30 minutes after the last clap of thunder before resuming activities. No refunds or rainchecks available if a storm lasts the day. For safety, some courses are closed when wind gusts reach 25 mph or more. We are serious that our course is run safely. 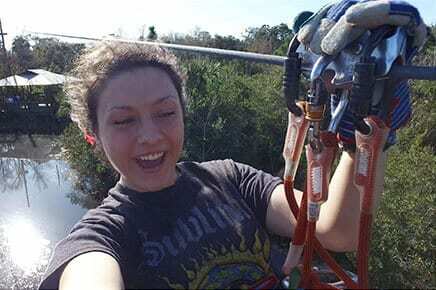 Our staff goes through extensive and ongoing training in safety techniques as well as scenario rescue trainings. You will have a 15 minute safety training before you start. We make sure all of our visitors are willing and able to participate on the course. These are self-guided courses with staff monitoring. If a participant is unwilling or unable to follow the safety protocol that they were taught, they will be asked to leave the course. NO refunds will be issued. All guests under the age of 18 must have a waiver signed by parent or natural guardian before going on the course. 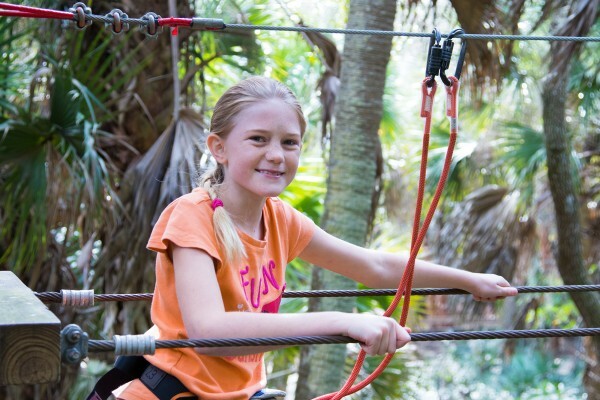 As required by Florida Statute 744.301, only a Natural Guardian (natural or adoptive parent) may sign a waiver for anyone under 18 years of age to participate on any Treetop Trek course. No other signature is permitted under this statute.